The Seoul Metropolitan Government is recruiting 33 international students here for its 22nd biannual global internship program from Friday to June 3. Seoul-based foreign undergraduate or graduate students, including exchange students whose visas are valid until Aug. 20, are eligible to apply, the city said Thursday. Once selected, interns will work from 9 a.m. to 4 p.m. at Seoul City Hall and affiliated organizations for a seven-week period between July 2 and Aug. 20 this year. Their tasks will include research on foreign policy, translation and other globally oriented work at governmental bodies. 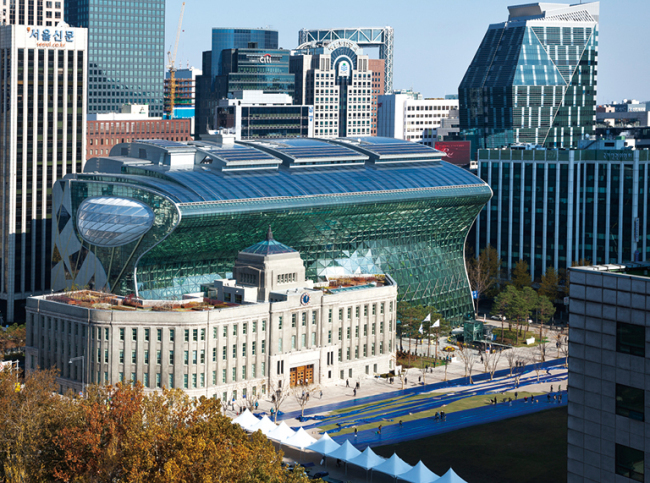 Applicants can submit required documents to Seoul’s official email address at global_intern@seoul.co.kr until June 3. The recruitment interview for applicants will be conducted between June 11 and 15. Those who have passed the final interview will be notified individually by email and text message. Interns may not be selected if there are no applicants that qualify for a specific division or department, the city added. For further information, visit the official websites for Seoul City (www.seoul.go.kr) and Seoul Global Center (http://global.seoul.go.kr), or call Seoul’s multiculturalism division at (02) 2133-5077.